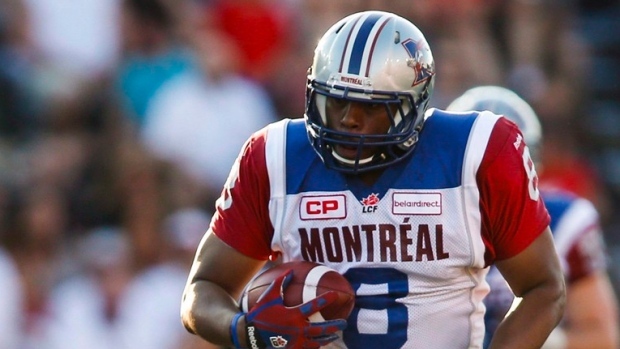 MONTREAL — The Montreal Alouettes signed veteran slotback Nik Lewis to a two-year contract extension Wednesday. Lewis, 34, was scheduled to become a free agent next month. The five-foot-10, 240-pound Lewis was Montreal's receiving leader last year with a career-high 102 catches and 1,136 yards with three TDs. It marked the second time in Lewis's 13-year CFL career that he'd registered 100 or more catches in a season. "Signing Nik Lewis was a priority for our organization," general manager Kavis Reed said in a statement. "Nik plays a key role in both his performances on the field and his contributions as a mentor with our younger players in the locker room. "Nik's role in our offensive strategies has made us a better team since his arrival in Montreal. We are convinced that Nik will be an important component to our offensive success." Lewis enters the 2017 season ranked fourth in CFL history in catches (977) and eighth in receiving yards (13,129) with 70 touchdowns.